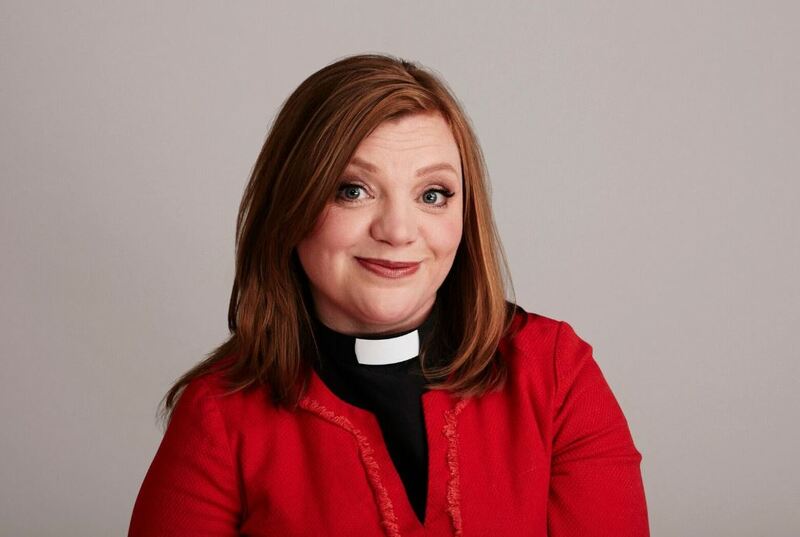 BBC Radio 2 presenter Reverend Kate Bottley has revealed all in an interview on The Naked Podcast. In an exclusive chat with the BBC Radio Sheffield podcast, radio and TV presenter Rev Kate Bottley talks openly about body image and how her weight has yo-yoed over the last four years; how men sexualise women’s bodies and she had her bottom pinched whilst wearing full robes; plus the time she shared a bed with Debbie McGee. “I don’t think I have ever been naked in front of someone who wasn’t a member of my family since I was about two,” she says. Kate talks openly about how she feels self-conscious about her weight, having been various dress sizes from a size 20 to a size 10 over her life, and how she would like to change people’s attitudes. “As a woman on TV your body is owned by everybody and everybody feels at liberty to comment on what you’re wearing, what you look like, whether you’ve gained weight/lost weight. Recently she has become much more comfortable about her own size and weight, concentrating on enjoying life rather than worrying what people might say about her. The Naked Podcast interview with Rev Kate Bottley, together with the other Naked Podcasts, is available here.